Hamza Ali Abbasi, a heartthrob of millions has always been popular since his inception in the industry. He started off his career in acting with theatre, than hit the TV screens and then the big screens not long after doing TV series. Hamza Ali Abbasi came on “Subha Savery Samaa k Sath” hosted by Sanam Baloch recently. 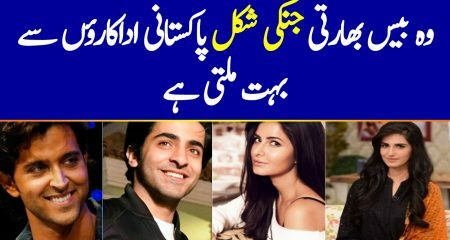 Sanam asked Hamza, to share his complaints and objections that he has on today’s youth. He said that he has not complaints about youth and this is a complete misconception in Pakistan that youth is not responsible or that youth doesn’t raise voice for its rights, when in fact every positive change that is happening in Pakistan is due to youth. He said that we as a society focus so much on the negatives that we completely forget to celebrate the positives. He, addressing the youngsters present in the audience said, that you are very good. He after playfully saying that he himself is a youth further added, that “We are very good and we have accomplished so much for our nation, So don’t underestimate yourself or take yourselves easy because whatever better the nation would achieve in the future would also be because of youth”. Hamza while narrating his own story while he was doing CSS said, that the last generation had a lot of expectations from this youth as well. He was very much positive about youth bringing positive changes in the nation.